Know a Dad who's proud of his baby and trains Jiu Jitsu? 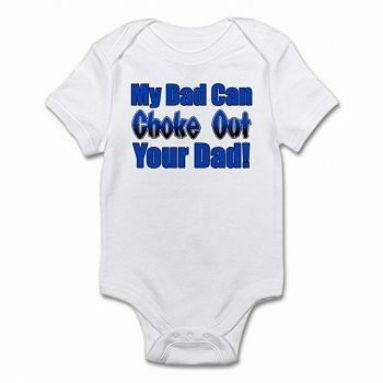 Check out this onesie that says "My Dad Can Choke Out Your Dad!". This is a great gift for him that will surely get people laughing and talking. 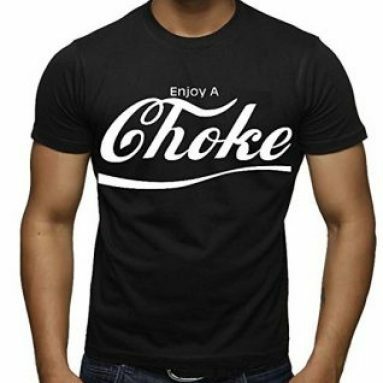 Enjoy a Choke funny t-shirt a perfect gift for anyone that trains Brazilian Jiu Jitsu and has a sense of humor. This shirt will be sure to turn a few heads and start some conversations.